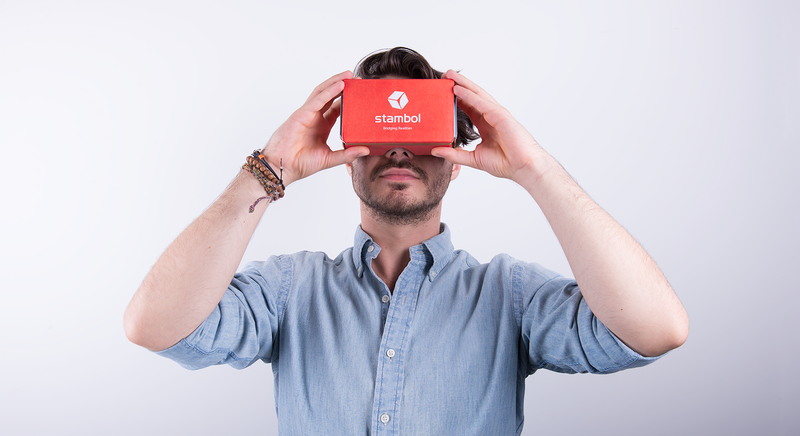 At Stambol we want your immersive marketing strategy to be successful from the first moment after launch. A bit of planning before executing a VR/AR branding idea can have a huge impact on your results. So before you envision an AR game that unlocks a coupon code or a VR walkthrough of your factory floor, consider what your branding needs to achieve and what you want from your Extended Reality products. Your imagination doesn’t need limits, but it does need a guide, so take a quick look at the tips below. The first step to success when marketing with VR/AR is knowing your target market. Before you can even begin designing an immersive experience, know what your customer wants to see, feel, think, touch, learn, and discover. Whether you’re a small business able to have personal relationships with customers or a large corporation relying on focus group data, you need an idea of who will step into your world before you can populate that place with objects and ideas. Possibly the strongest argument for using VR in your marketing is the medium’s capacity to illicit emotional reactions, and consequently, assist in forming meaningful memories. As a marketing professional, you already know that people resent hard sales and one-sided conversations. VR marketing and branding makes it possible for your imagery to form the basis of a dream world. So make the most of building your own universe. Linked to the concept of people not wanting to be advertised at and sold to, plan for your immersive branding strategy to tell a story. Draw the participant into anything from an adventure or mystery to a journey through interesting or beautiful terrain. Will you walk customers through your brand’s origin story? 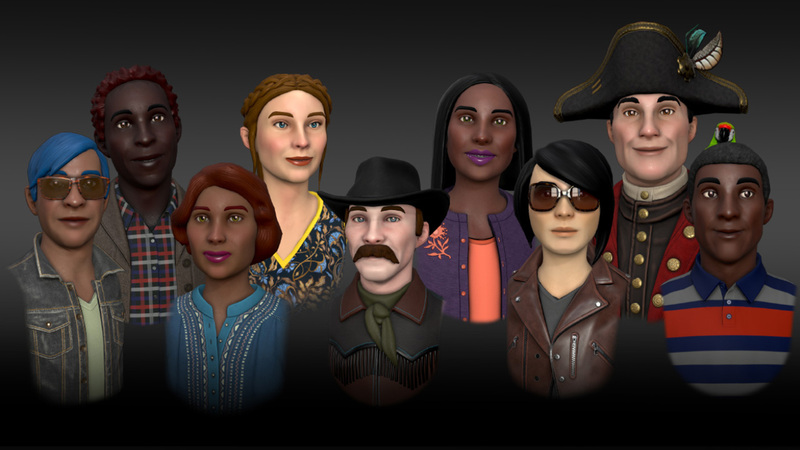 Or do you have an inspirational founder’s adventure to share? 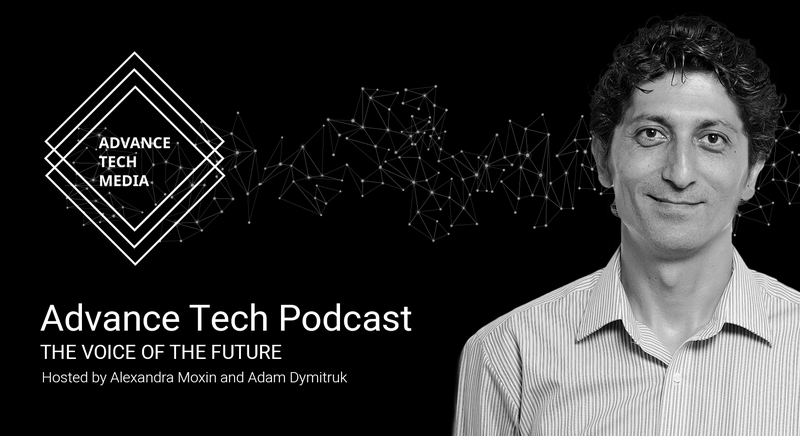 Is your product changing the world? Is there anything your brand has to say that is better shown than told? A bit of brainstorming with story in mind will yield much more effective content ideas. 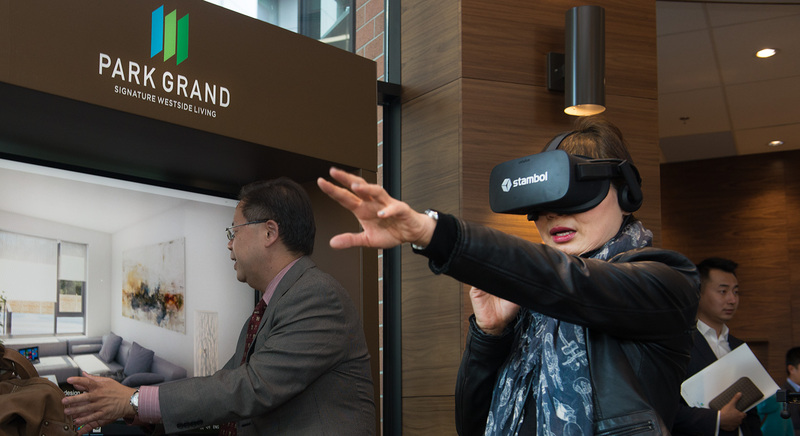 Most VR/AR gear can be branded with your logo and colours – whether you’re giving away Cardboards or inviting visitors to use a Vive at your storefront. 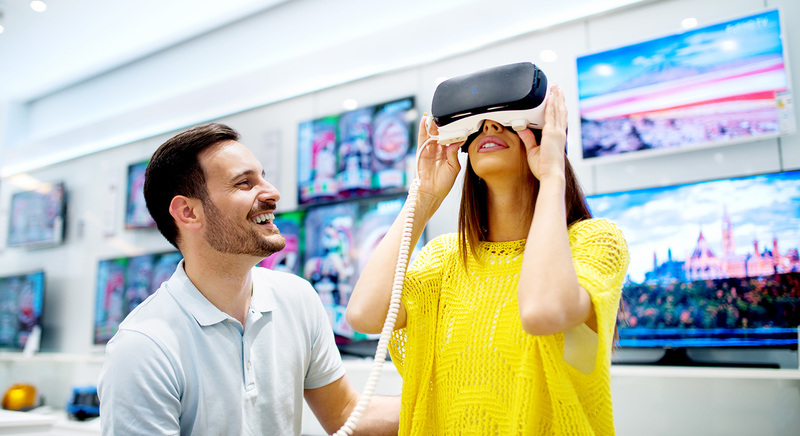 If you take physical branding one step further and pair your VR with hard copy collateral, you can expand the sense of a value-added experience, keeping your brand in a customer’s mind even longer. For example, why not pair your VR experience with an AR-enabled brochure that springs to life under a tablet. Possible combinations of VR/AR and 360 degree video will probably surprise you – and your customers. VR/AR marketing benefits from improvements to screen resolution and hardware comfort at a near constant rate. As gear progress continues, users will be able to spend more time inside virtual worlds. Take advantage of longer visits by giving customers more to do inside your immersive experience. A virtual visit with your overseas fabric supplier can segue to a fitting room that allows customers to ‘try on’ your product. When we suggest making wish lists for your immersive marketing, we really mean it. We often need a gentle reminder that immersive experiences and interactive marketing material make the impossible possible. Striking visuals that break rules are an effective path to capturing and holding a user’s attention. Imagery that delights doesn’t have to be composed of exotic beaches or twinkling fairy dust; it can be as simple as a life-like replication of brushed stainless steel – clean, elegant, classic, and completely digital. Related to our suggestion regarding interactivity, we also recommend poring over every surface adding things to open, click, change, or unlock. Part of the magic in a virtual world is that rewards can exist around every corner and under every surface. A bit of extra attention to detail in this area can make the difference between engaging and truly outstanding. If you like the idea of telling a story about your brand or product, take it one step further and give that story a longer life. 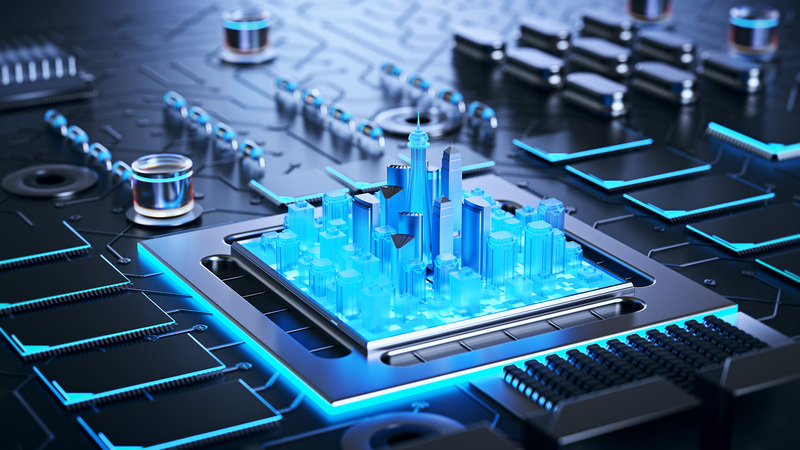 A more complex immersive experience with multiple components can connect your brand to a customer again and again. Fresh virtual content on a weekly or monthly basis can also be an opportunity to participate in relationship marketing – one of the most authentic paths to ongoing customer loyalty. Another great method of adding value to a user’s experience is to generate something unique he or she can upload to a social media profile. If your customer can try on virtual shoes, it’s just another few clicks before those shoes can be on their Instagram or Twitter feeds. In a world where so many users are hungry for shareable content, meeting that need may pay you back in the form of viral marketing. We’ve said this before here on the Stambol blog, but it bears repeating. 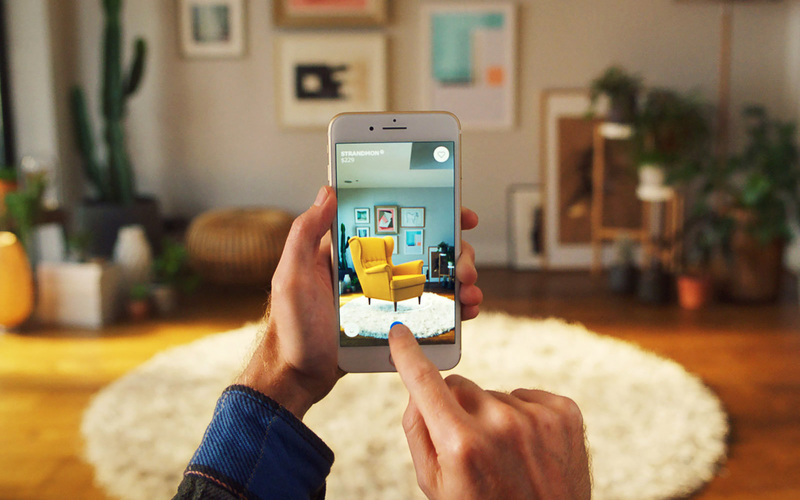 The act of choosing VR/AR for your marketing campaign is a statement in and of itself. You set your brand apart as a forward-thinking entity, interested in cutting edge technology and eco-friendly promotions. As more customers become aware of what immersive experiences can offer – and as more realize the carbon footprint of VR marketing is much smaller, your branding choice contributes to your image as an industry leader. Take some time and let some or all of these ideas take root and inspire you. Then reach out to a Stambol expert for more details on how we take branding campaigns from virtual concepts to immersive realities.